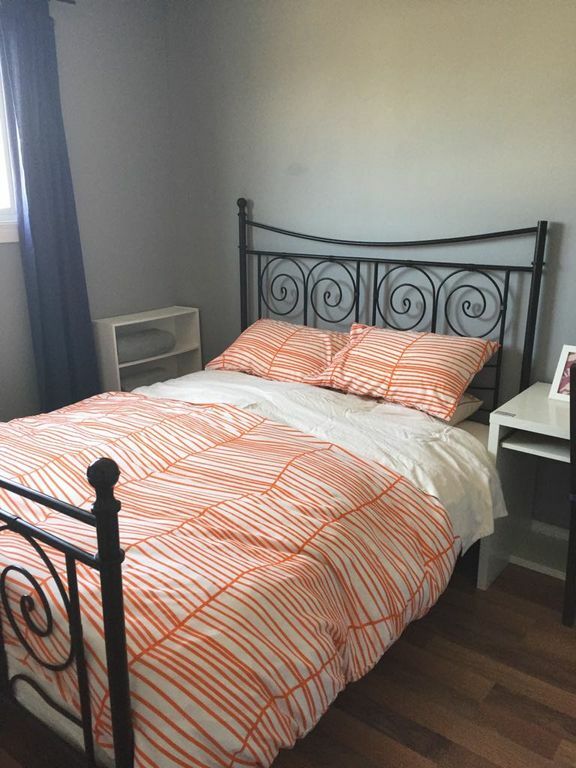 Family townhouse in the South of Edmonton offers one bedroom for rent (short or long term). The bedroom has a very comfortable queen size mattress, a desk, and a closet with hangers. Sheets, towels and blankets are provided. Bathroom and other common spaces are shared with other guests. The unit has two stores. Kitchen, laundry, living and dining room is on the first floor. The townhouse has a lovely gated front yard. No smoking, no parties, quiet property best for business or solo travellers.